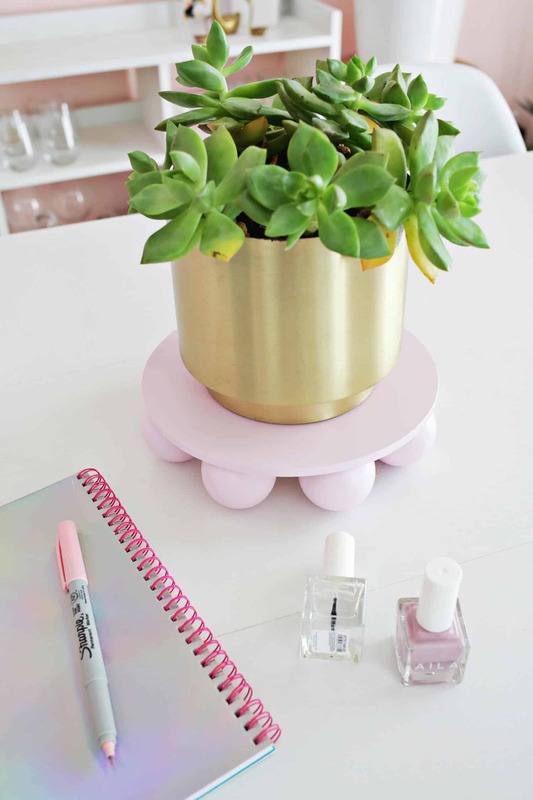 Today, we’re excited to share an updated list of renter-friendly DIY’s with you. We’re going to focus on the important things, like minimizing nails in the wall, using color and texture to maximize your space, and more. Let’s get to it! Hang Wall Decor with Command Strips or Hooks. Command Strips and hooks are the besssst. They range from a 3-8 lb. weight limit. Perfect for renters (and homeowners!). One of the most cost-effective ways to add a large art print to your space? Engineer prints. Have your favorite photo printed at your local Staples or online at Parobo Press. Want to make your own frame? Click here for an easy solution. If you can’t paint your walls, add a large statement weaving instead. 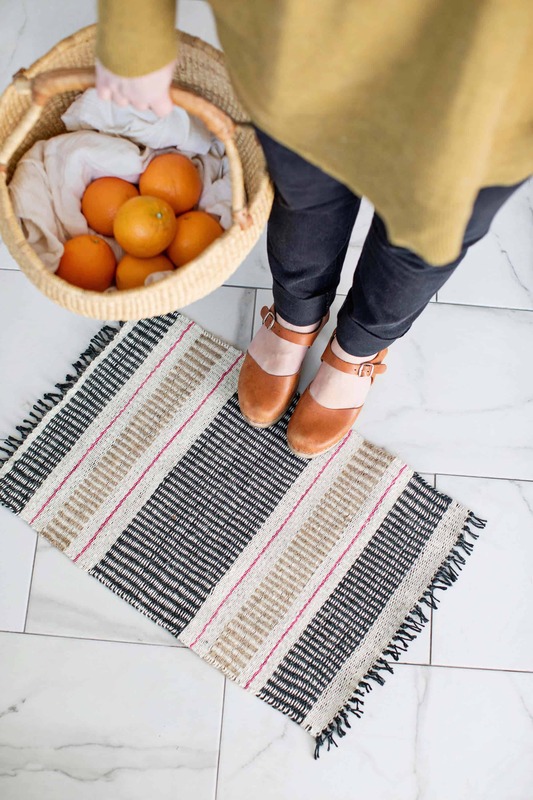 Emma’s faux weaving DIY is so easy to make. Mirrors can make a room appear larger. 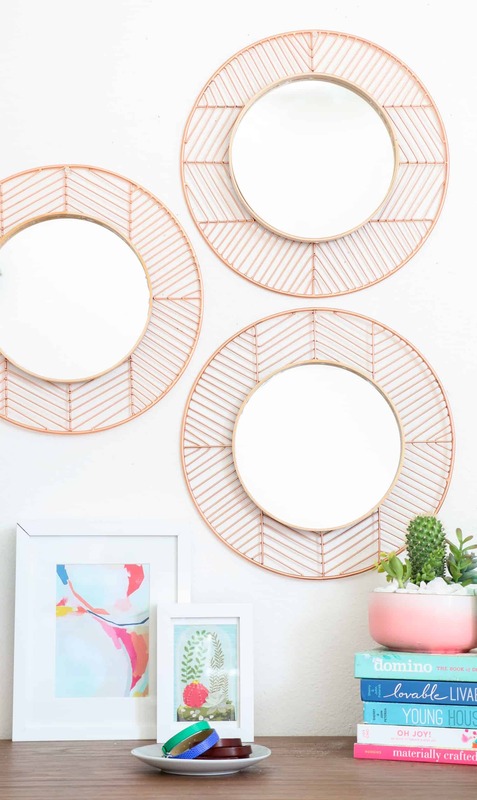 I love how these copper and wood mirrors only require a few supplies—and steps. Prop a colorful framed print like this one on a mantle or table instead of hanging it on the wall. 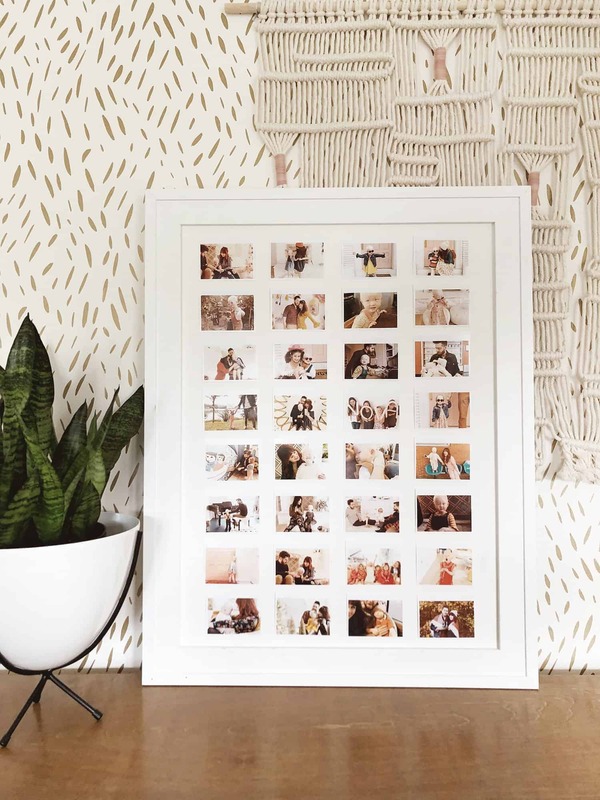 If you don’t have enough space for a family gallery wall, make a mini version with ALL the photos. Looking for more ideas? Here’s some other ways Elsie displays her family photos. A photo that doubles as a giant dry erase board? 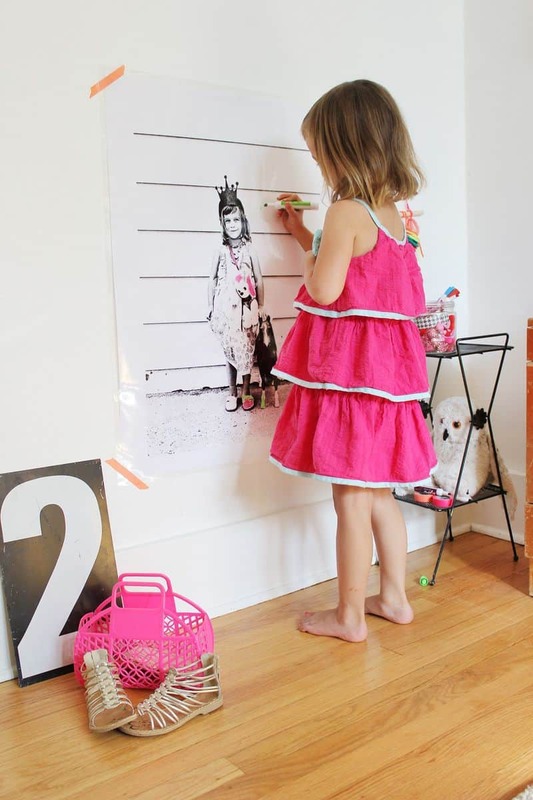 Such a cute idea for a kids room. Have a collection of movie or concert tickets? 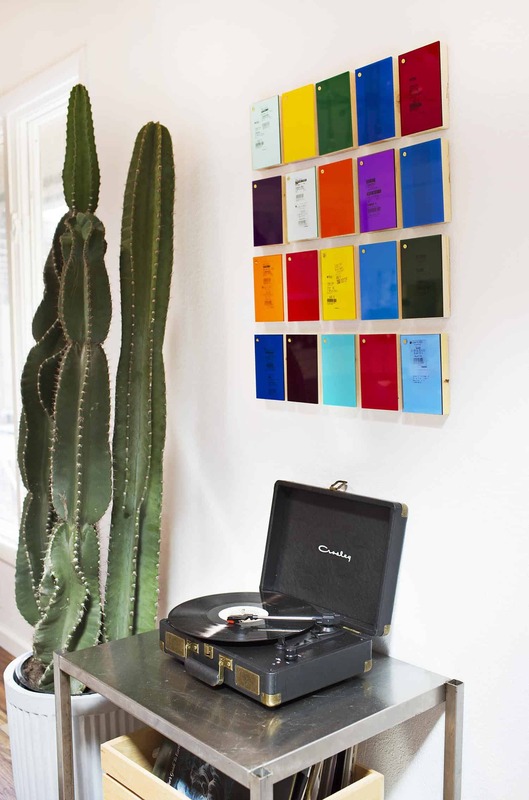 Create a pop-art inspired display. Don’t forget to use the Command Strips! 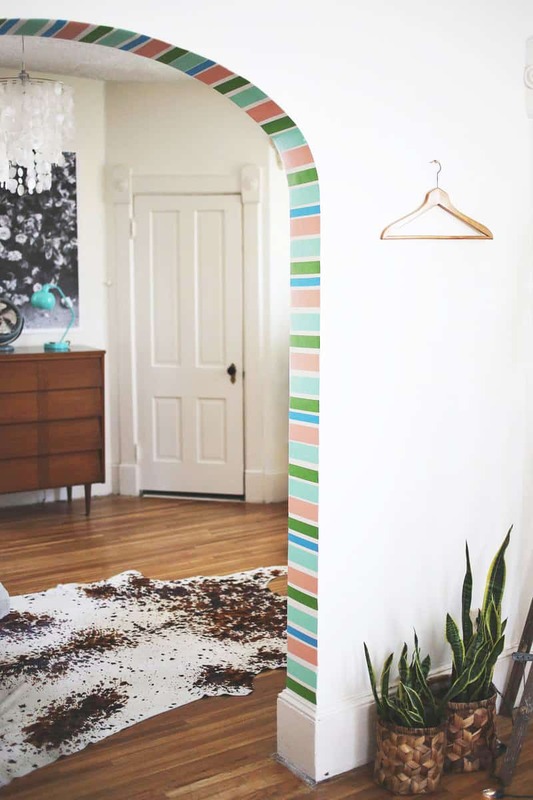 Incorporate Removable Wallpaper and Washi Tape. What did we do before removable wallpaper was a thing? 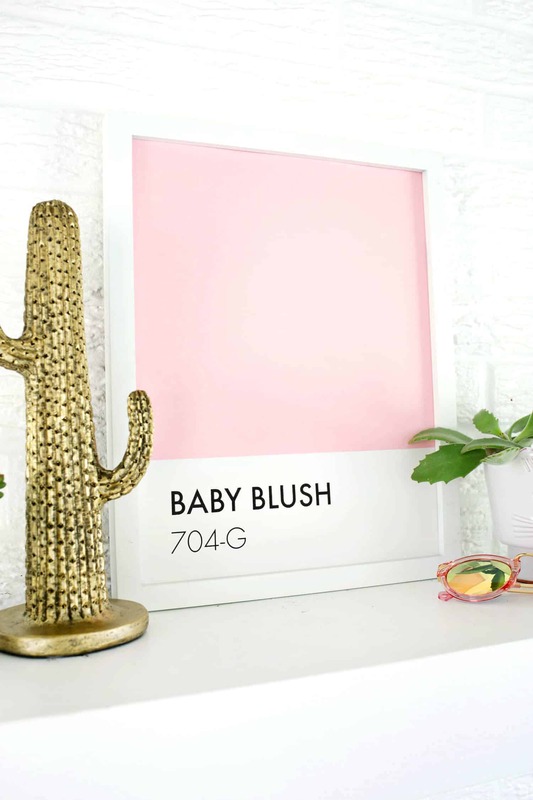 It’s a fun, versatile way to add personality to your space. 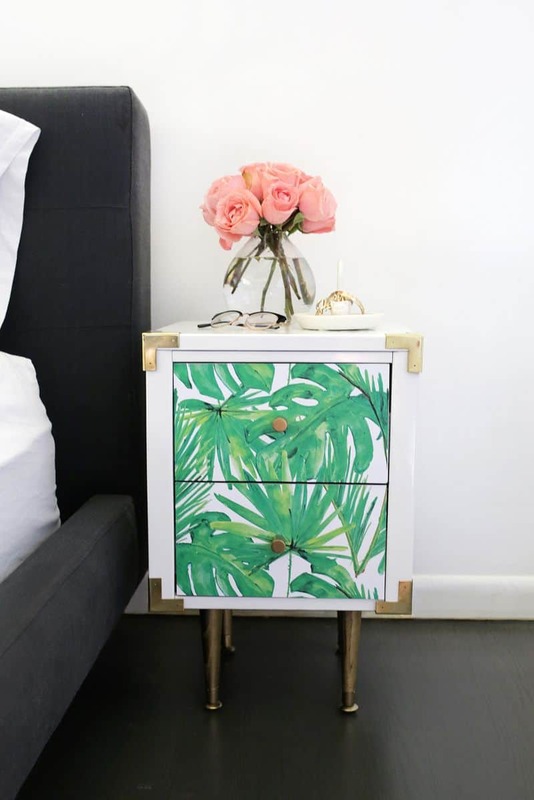 Click here for 8 ways to use removable wallpaper in virtually any room in your home, like on a nightstand. 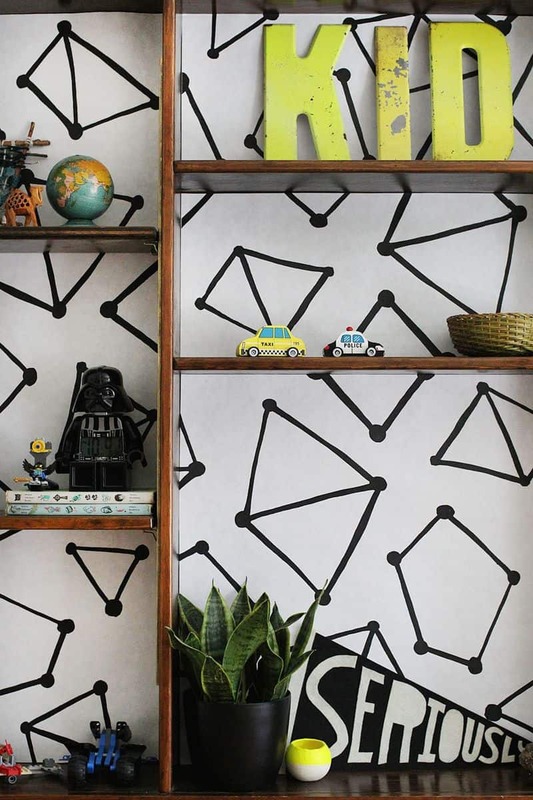 If you don’t want to go the removable wallpaper route, design your own bookshelf lining. Washi tape! 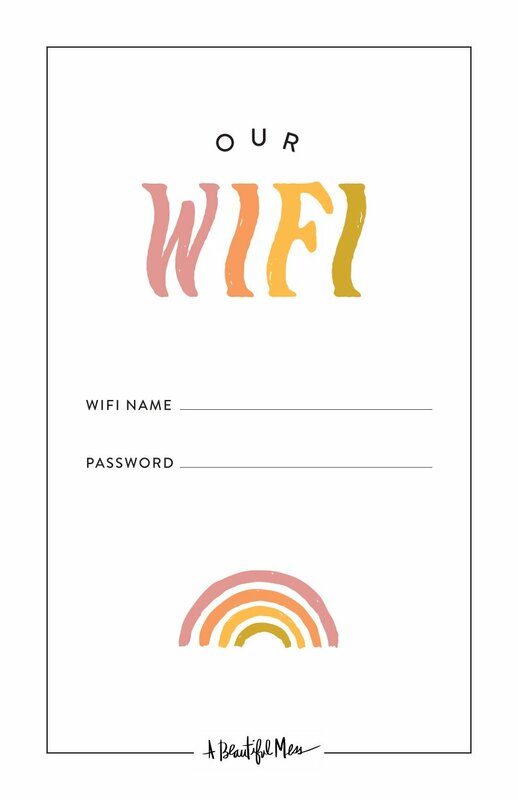 Get creative and add it to a doorway or wall. Keep household items and pretty things like jewelry and makeup brushes organized without taking up drawer or closet space. We love lucite, OK? 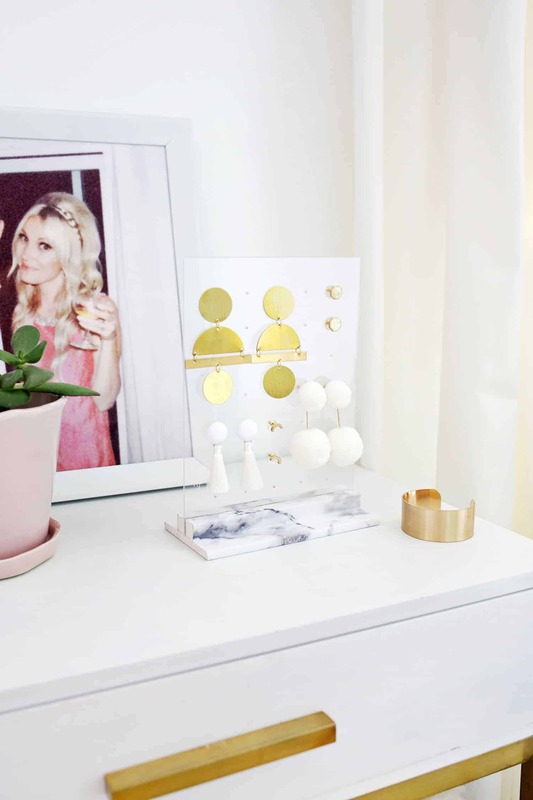 It’s so pretty and functional for many DIY’s like this earring holder and desktop calendar that doubles as a photo frame. 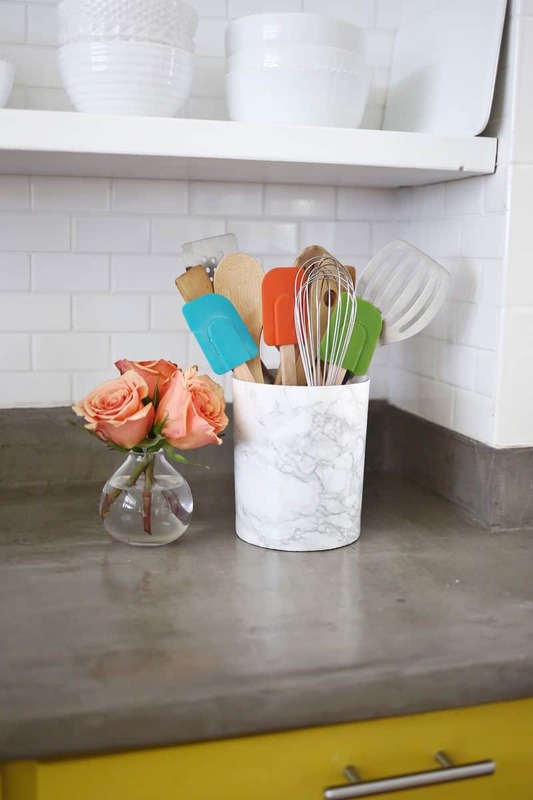 Keep your kitchen utensils in an expensive looking marbled holder using contact paper. No one will ever know! 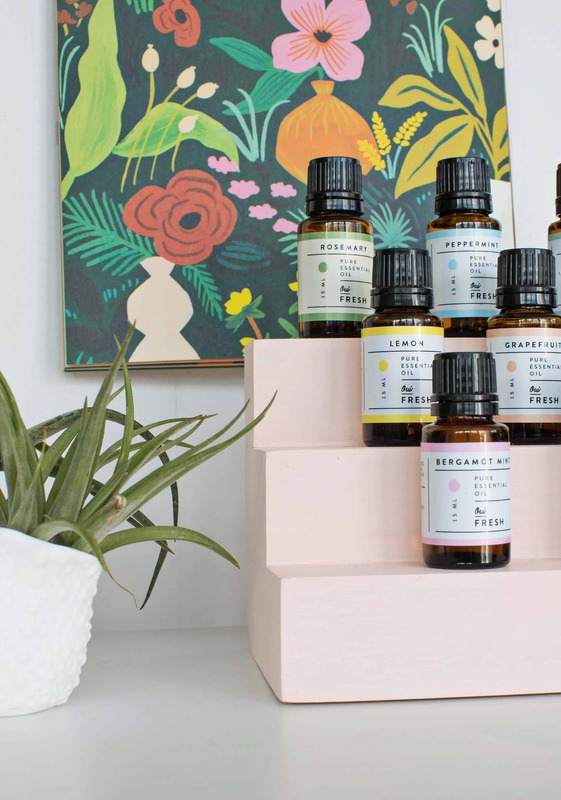 Make a wooden display shelf for your essential oil bottles or perfumes. Where should you keep your mail and magazines? In a cute magnetic holder on the fridge. I love how Laura stores her makeup brushes and photos in her bathroom. 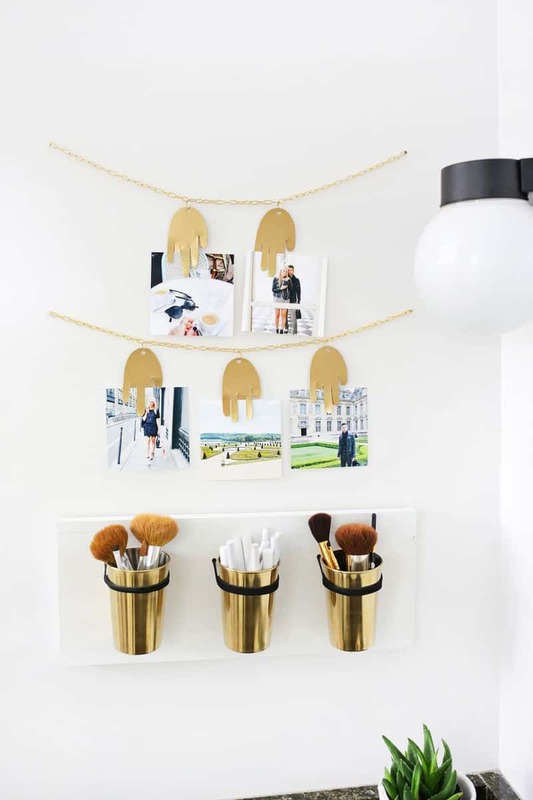 No more cluttered cabinets, and a fun photo display idea. Apartments and rentals don’t have to be plain with beige walls and carpet. Make it your own! 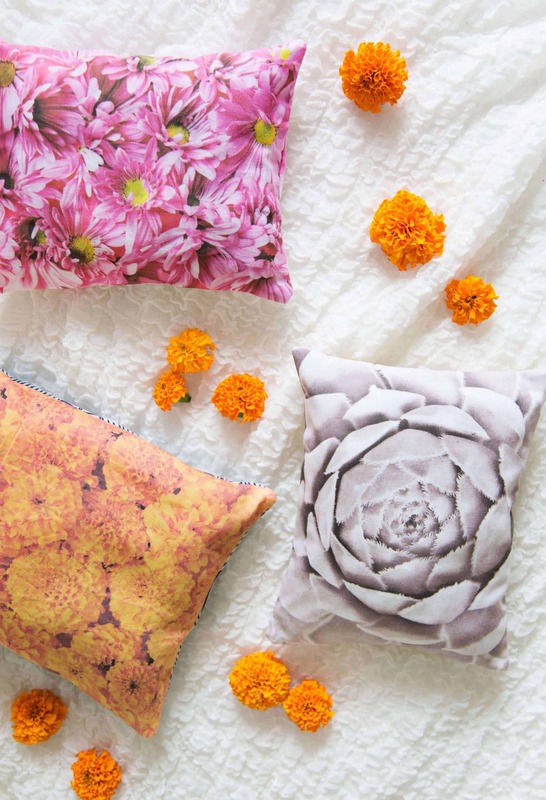 Make a set of photo pillows to brighten up any room. 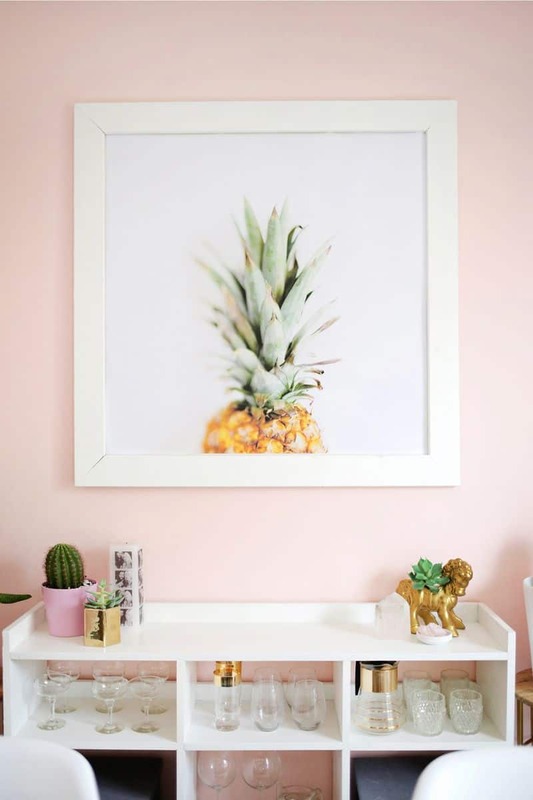 Looking for more ways to incorporate photos in your decor? We love these personalized ring dishes. 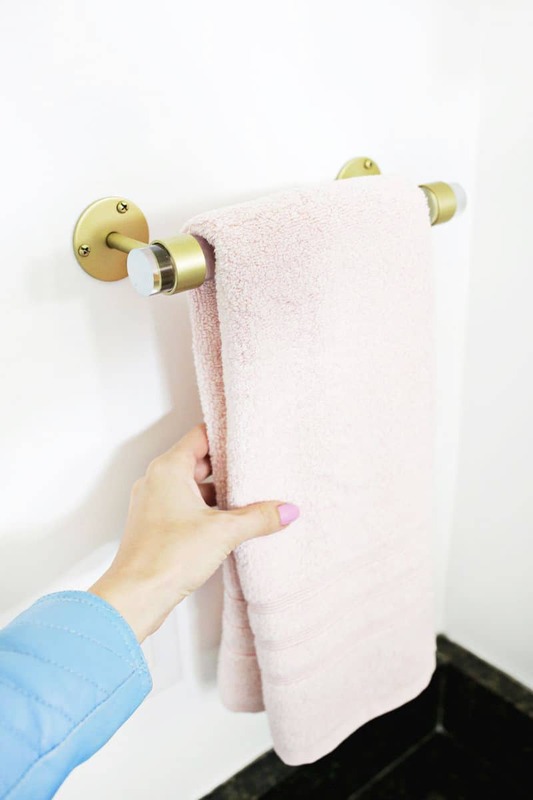 Swap out plain bathroom towel bars for ones made with … you guessed it … lucite! Give us all the gold! Add campaign hardware to a dresser for a bold, polished look. You can do the same thing to picture frames. If you can’t find a rug that’s big enough to cover that area under your bed, combine two smaller ones to make a large one! If you want to go the full DIY route, make an epic rope rug. 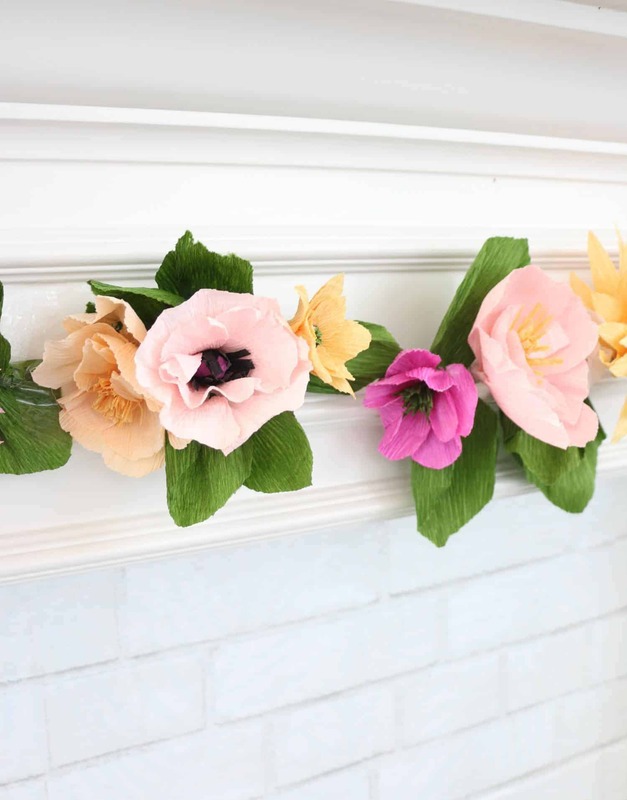 Make crepe flower garland and string it across a fireplace or window. Looks like the real thing! Another way to add personality to a bathroom? 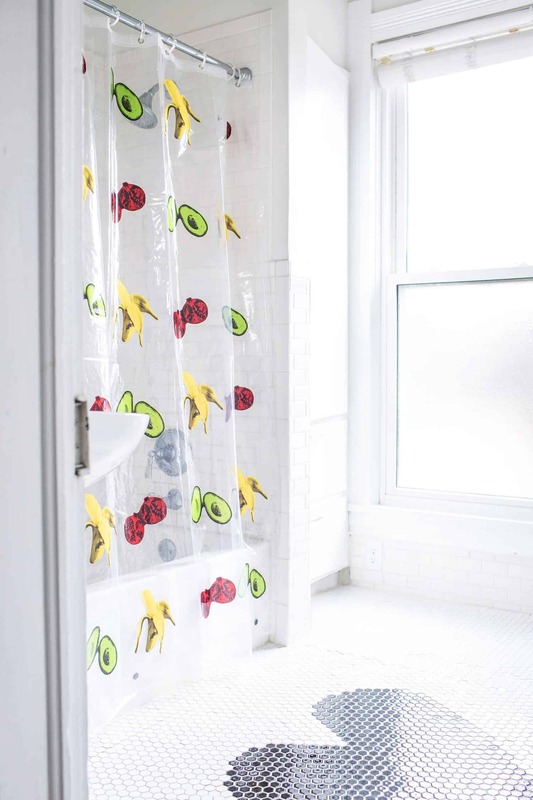 A bold shower curtain. I love this one Emma made a few years ago. 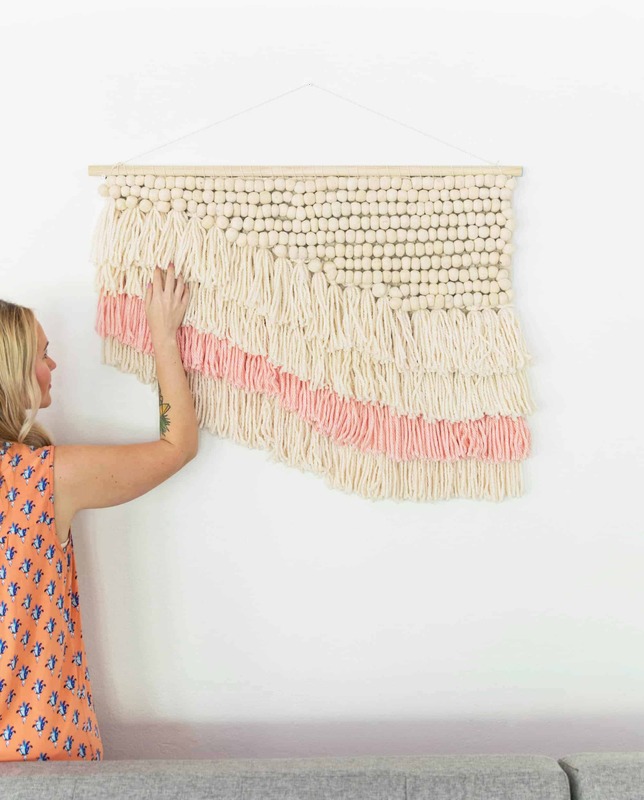 If you’re looking for another option, Elsie’s macrame fringe curtain is so delicate and pretty. No sewing required! Add plants, and give them a cute home 🙂 We have a bunch of planter DIY’s to choose from, like this unique one made with wooden balls. 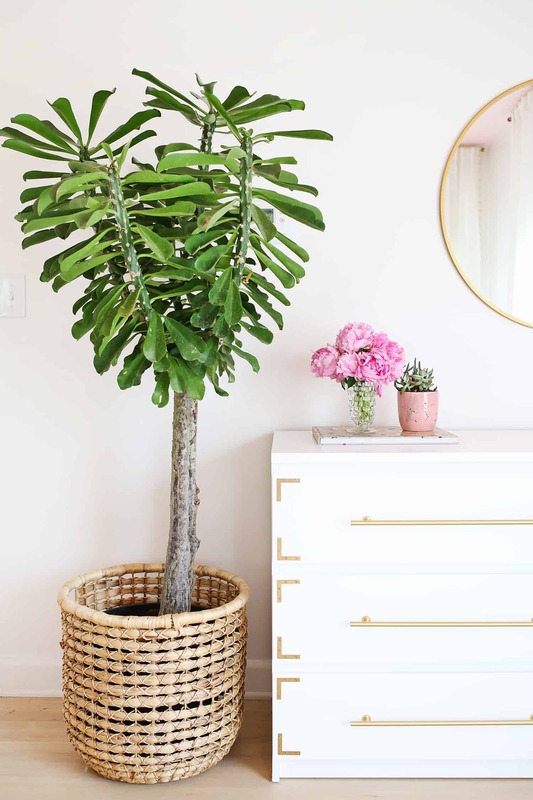 Regardless of your square footage, finding cute ways to store your belongings is easier than you think. 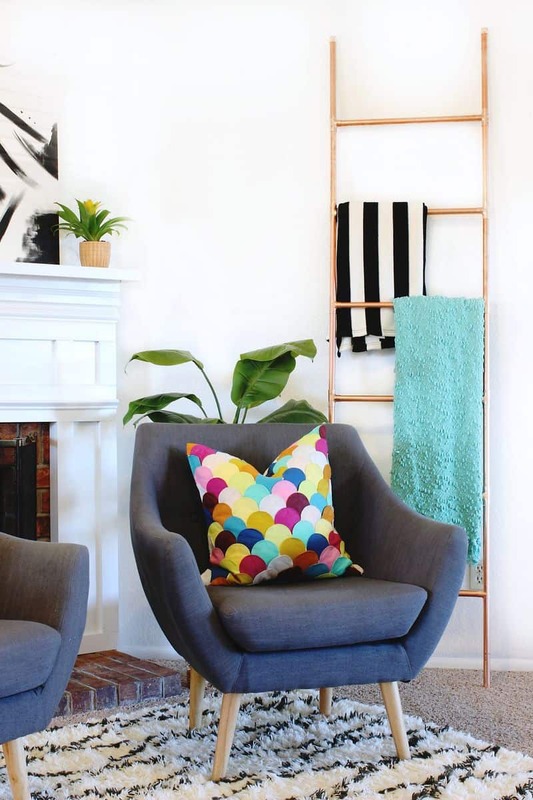 Make your own ladder to hang items like extra blankets and magazines. 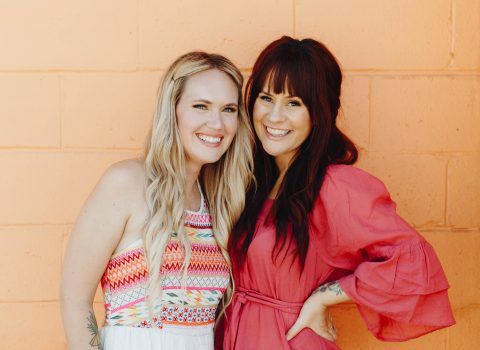 Be sure to read Mandi’s ladder styling post for more ideas. 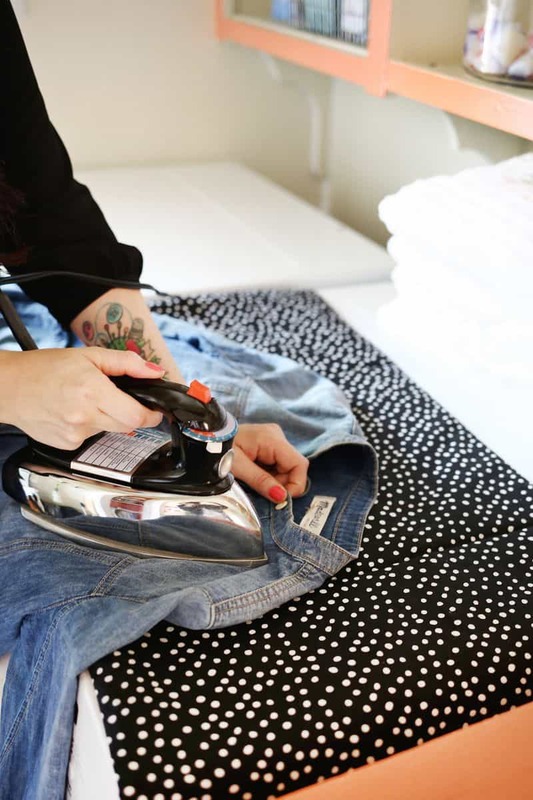 If an ironing board isn’t ideal for you, make a magnetic ironing mat to keep on top of the dryer. 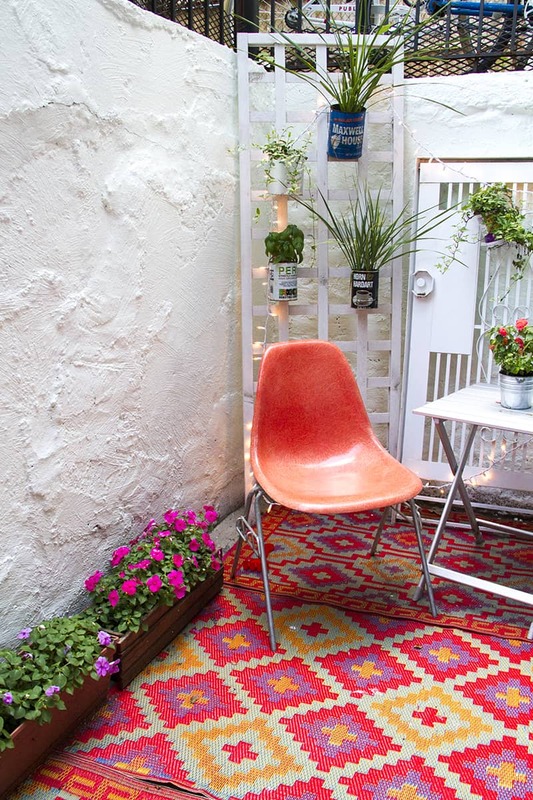 LaTonya’s small porch makeover is so inspiring! Even if you live in the heart of the city, you can still make a special spot for an evening glass of wine. Yes, please! These are all so fun and cute! I need to try some of them! What great ideas! I am currently renovating and decorating my cottage so this was very helpful and gave me lots of needed inspiration! I’m a new reader of your blog and that was a great post! I really really REALLY love your decoration of rental home.